FCC's new net neutrality proposal: What do we really know? 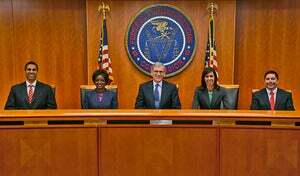 FCC moves forward on net neutrality plan: What now? After a comedic video about net neutrality became a YouTube hit, more than 22,000 comments about proposed net neutrality rules flooded the website of the U.S. Federal Communications Commission, and the traffic locked up the agency’s Web-based comments form for parts of Monday and Tuesday. 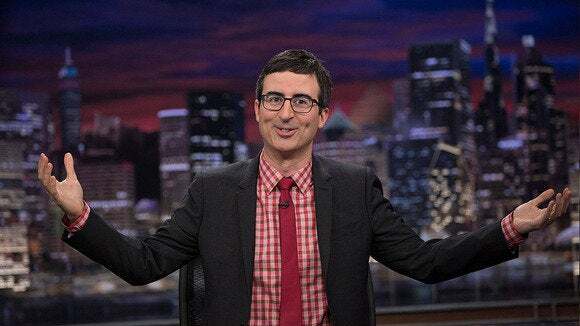 Many of the comments appeared to be driven by comic news commentator John Oliver’s 13-minute piece, first airing late Sunday, on his new HBO show, Last Week Tonight. Daily Show veteran Oliver’s commentary, slamming broadband providers and the FCC, was also posted on YouTube, where it had more than 1.6 million views as of Wednesday morning. Many advocates of strong net neutrality protections have criticized FCC Chairman Tom Wheeler’s proposal for rules that would allow broadband providers to engage in “commercially reasonable” traffic management. The FCC released a set of net neutrality proposals, including Wheeler’s plan, for public comment on May 15. The FCC also asked if it should regulate broadband providers like public utilities, a move broadband providers have vowed to fight if it happens. Oliver, in his somewhat not-safe-for-work commentary (embedded below), urged Internet trolls to turn their ire toward the net neutrality issue and submit comments to the FCC. “For once in your life, we need you to channel that anger and badly spelled vile that you normally reserve for unforgivable attacks on actresses you seem to think have put on weight ... or photos of your ex-girlfriend getting on with her life,” he said. Wheeler has repeatedly said he wants to reinstate net neutrality rules after a U.S. appeals court threw out an old version of them in January. Outside of his trade group experience, Wheeler has worked as a technology entrepreneur and venture capitalist, and he’s said strong net neutrality rules are important for people in those fields. Broadband providers say they have spent billions of dollars to build or upgrade their networks, and some argue they should be able to explore business models that include charging bandwidth-heavy Web content producers like Netflix for traffic prioritization. FCC efforts to pass net neutrality rules, or reclassify broadband as a utility, amount to the agency telling broadband providers what they can do with their private property and could dramatically slow investment in broadband deployment, some providers argue. The FCC received 22,200 comments on net neutrality on Monday and Tuesday, with the total also including weekend comments that are posted to the agency’s site on Monday, said spokeswoman Kim Hart. Even with the FCC’s comments form unavailable for some time this week, the agency continues to take net neutrality comments at the email address, openinternet@fcc.gov. The agency has received more than 64,000 comments on net neutrality, with more than 45,000 in the last month. Those numbers dwarf the number of comments the FCC has received in other open proceedings. The FCC has received fewer than 1,700 comments on Comcast’s proposed acquisition of Time Warner Cable, and 200 comments on an enhanced 911 emergency dialing proposal. The FCC’s release of its proposed net neutrality rules on May 15 set off a 120-day comment period on the issue, with 60 days for initial comments and 60 days for replies to the first round of comments.